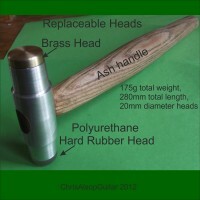 We proved a range of Fretting Hammers and Mallets to suit all needs. 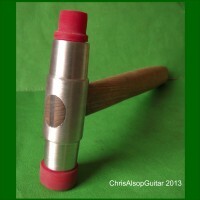 Our fretting hammers are made by Chris Alsop in his workshops in Derbyshire. 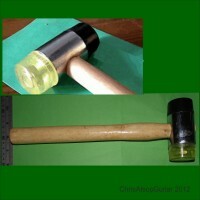 The hammers comes with brass and rubber heads of different sizes. 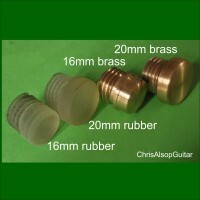 A rubber head allows a wide spread of a low impulse across the fret, and a brass head allows a precise tap of a high impulse in a specific place. The specially shaped handle allows good control over direction of the head. It allows you to feel confident about hitting the frets in just the right place, in the right direction with the right amount of force. A good job results with minimal high or low spots of the frets.